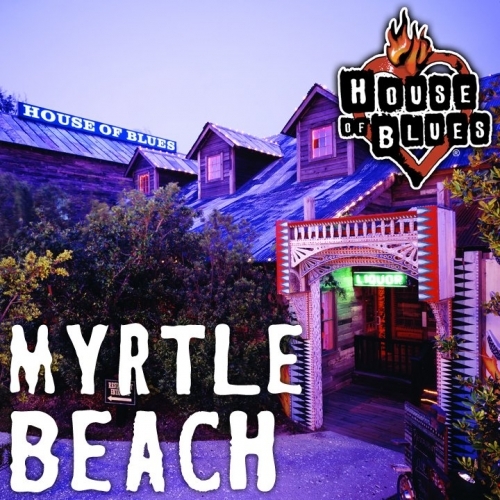 House of Blues is famous for its big name concerts and the Myrtle Beach House of Blues has hosted such performers as Keith Urban, Sugarland, Edwin McCain, Dierks Bentley and Norah Jones. But there is more to House of Blues than famous singers and renowned bands. Do you have a detective’s mind? Then come to House of Blues for the Murder Mystery Dinner Theatre where the audience is filled with key suspects. Follow the clues left around you and if you solve the murder mystery, you win a prize! The Sunday Gospel Brunch is a weekend treat that combines gospel music and a delicious brunch buffet, Southern style. Dish up jambalaya and shrimp and grits while your soul feels the rhythm of the Sunday Gospel Brunch. House of Blues is sprawled out at one end of Barefoot Landing, where a restaurant, Music Hall, Sugar Shack Deck and the BB Blues Bar culminate for a live entertainment mecca, with food and special events! Live music is featured throughout House of Blues on most nights. Call for events calendar and ticket information.